How to create multipage TIFF? To begin, install reaConverter from reaconverter.com and then follow the 3 simple steps. 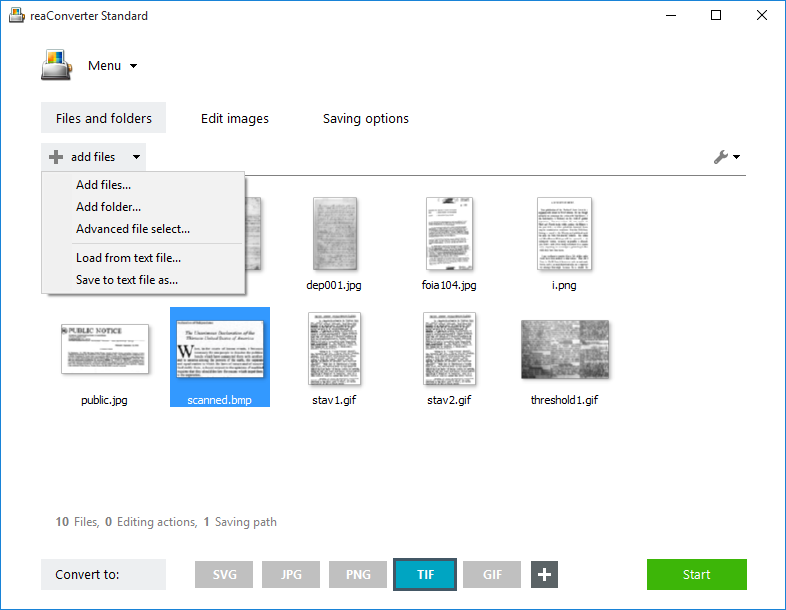 Lite edition is free and can handle multi-page TIF creation. 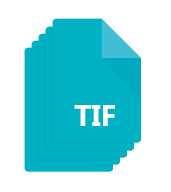 Load all the images you intend to include in the multi-page TIFF file. They can have the .tif extension as well, or any of the other 546 formats supported by reaConverter. For example, you can have one PNG and 2 JPG files here. 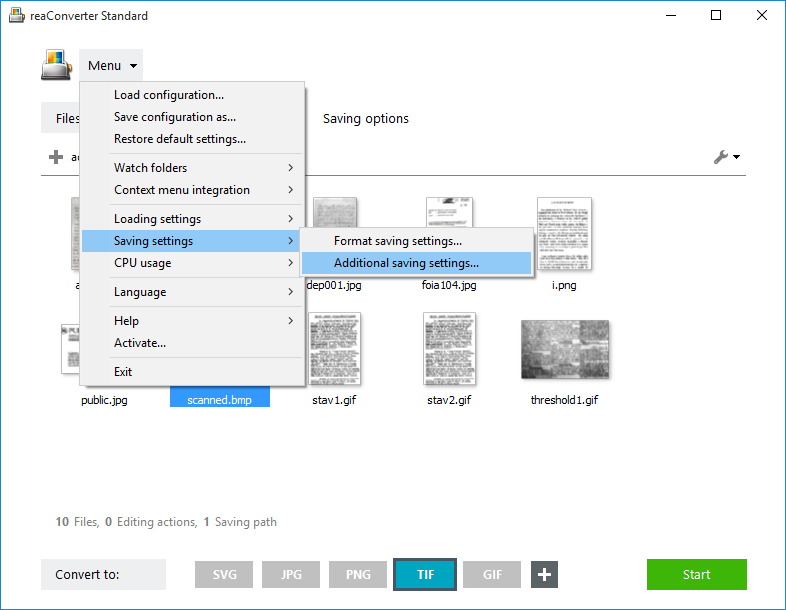 Click the Menu button and go to Saving settings → Additional saving settings and then to the Multipage tab. 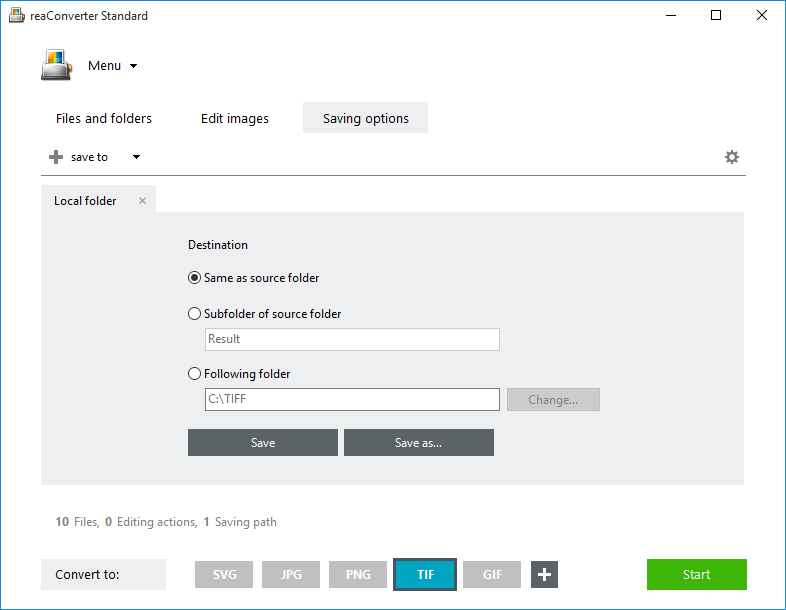 Here tick the following option: Save all processed files to one file. Next, pick TIF as the extension for the output file, from the buttons conveniently placed in the lower part of the window. Then go to Saving settings and choose a location for your new multi-page TIFF. You can save it offline, in a local folder of your choice, or online, using Dropbox, Box.com, OneDrive or Google Drive. 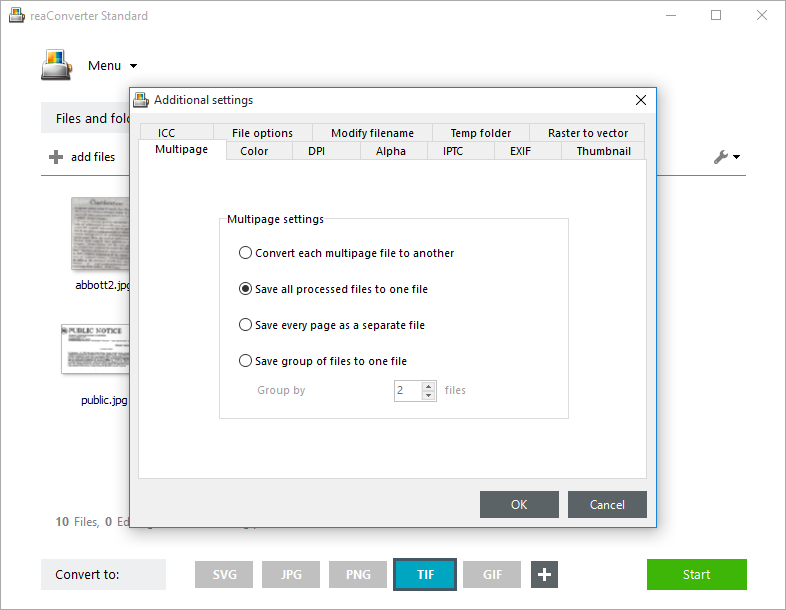 Finally, simply press the Start button and your new multi-page TIFF file will be done in a few seconds! Advanced users can create multi-page TIF documents using command line interface or DLL in manual, automated or scheduled mode. You are welcome to contact our technical support when you have any questions about reaConverter.